Image by Jens Lelie via Unsplash. “New year, new me” is a phrase I’m sure you’re all hearing lately. For those who actually need to restructure their content teams or strategies this year, that phrase might be ringing especially true. But how do you figure out which changes will bring about the biggest benefits? Our content strategist, Dan Levy, nerded out with Jay Acunzo of NextView ventures about the different ways to grow a high-performing content team, and why developing a credible content strategy is hard work, but absolutely necessary. Plus, hear Jay talk about his issue with the growth hacking trend. Read more articles by Jay Acunzo via NextView Ventures. Listen to Traction: How Startups Start via iTunes. Stephanie Saretsky: Hey podcast listeners! Happy new year! I hope you had a good break and that you missed us here at the Call to Action podcast. 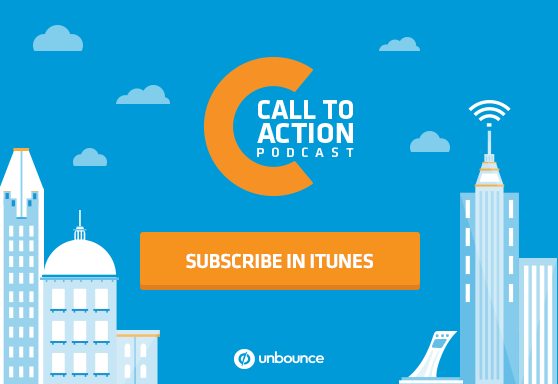 We saved one of our favorite interviews for you so we could start 2016 off with a bang: If you’re concerned about growing a content team this year, then this is the episode to listen to. Jay Acunzo: I’m Jay Acunzo, VP of Platform and Content and NextView Ventures. Stephanie Saretsky: Our Content Strategist, Dan Levy spoke with Jay and they nerded out on the different ways you can grow a content team and how to customize your content strategy to your unique company or agency structure. Plus, hear Jay tell about Dan the issue he has with growth hacking. Check it out. Dan Levy: So you’re an experienced content marketer who’s gone from traditional journalism over to Hubspot, the inbound marketing monster, to the world of start-ups and venture capital. What’s been the most surprising part of that transition so far? Jay Acunzo: Probably that people keep paying me to create things for a living. Jay Acunzo: Yeah, I’m incredibly thankful for it. It’s awesome that we live in this era where that’s actually a job function that people want and need and actually it’s a growing need for a lot of companies. So that’s great. I actually started my career — you didn’t mention it — but at Google doing ad sales. And I remember one day I went home and I was hyping this YouTube video to my friends as the greatest thing ever. And when I started to play it, after they were all leaning forward into my laptop, I hit play, and obviously what happened? A pre-roll ad hit. Dan Levy: Cool. Well, can you talk about your role a little bit? I don’t know how many in-house content marketers there are at other VC firms. So would you describe yourself as a consultant whose job is to support the start-ups in your firm’s portfolio, or are you focused on building thought leadership for the firm itself through content marketing? Jay Acunzo: Yeah, so my job, they call it Platform. It means a lot of different things at a lot of different VC firms, and it’s definitely an emerging trend. I’d say NextView was one of the first to move on it, especially in the early stage venture world on the east coast. My job is to help start-ups gain initial traction through scalable resources. So it’s very little consulting — although I do a lot with marketing one to one with our start-ups — but really, my job is to figure out what are the problems facing either the start-ups we’ve invested in, or communities like Boston, New York, San Francisco, nationally, here in the US. And what are those problems? What are all the steps that founders are currently moving through to solve those problems? And then how can we create something to take out some of those steps? Dan Levy: Okay. So not to get too bogged down in semantics, but I notice the term content or content strategy seems to mean something different whether you’re in agency circles or in the start-up world, or even in inbound marketing tech companies like Hubspot or Unbounce. What would you say are the challenges of working on another company’s content strategy compared to being an in-house content marketer? Jay Acunzo: Yeah. I mean I definitely help with the start-ups that we work with their content strategies, but I’ve really been in-house for the bulk of my career, including at NextView. I do a lot of content to further our brand. Jay Acunzo: But I think a lot of this is about having extreme empathy, which sounds kind of squishy, but I think it’s about acting like a vessel, almost like a journalist does when they first start. They’re not a topical expert in whatever field they’re reporting on. They just get really good at asking questions, listening, absorbing, picking up on the nuance of both the subjects that they’re talking to and then the audience they’re trying to reach. And so, I think that empathy idea is really, really important. And I think another is — and I’ve noticed this as people start to leave former start-ups that have gone public or exited some regard — I think people that have had success doing something one way and then try to apply it elsewhere fail fast. So I think another big part of this idea of helping someone else versus in-house is knowing how to approach problems and test for answers, but not being too prescriptive. So just because something worked for me when I was at Google or Hubspot doesn’t mean it’s gonna work exactly that way at exactly this moment with exactly this other company and their audience. So it’s more about the framework of testing hypotheses to find what works than actually tending you have the answers for another business right away. Dan Levy: Okay. And those two things dove-tail, right? You need to start with the empathy, thinking about the end user, thinking about why they need this content, and then, of course, test that insight or that hypothesis to make sure that’s borne out through A/B testing and through more, I guess, more database means. Jay Acunzo: Oh, totally, and I think, this thing happened to me at Hubspot that I’ve taken with me since then that’s really helped me work with our start-ups, which is we gave away a bunch of templates that acted very similarly to the product. And I realized we were basically giving away dumber, less effective versions of the software. Jay Acunzo: And they were wildly successful pieces for us, and all I could think of was, “Wow. Why do we do content? Why do we create a product or a service as a business? All of this is about solving a customer problem.” So I think if you frame content marketing as solving the same problem or fulfilling the same desire that your product or service has to offer. Your product is ostensibly built so solve some sort of problem, and start-ups, that’s why they start. It becomes a lot easier to go and advise somebody else, especially in the start-up world, because you sit down and you start talking to them about why did you start the business? Or what is your product great at? Or why do customers love you?What problem is ailing your customer today? And then it’s just matching that between the product and the content, and it aligns it so beautifully, too. That’s the other thing, is all this has to align and drive a business result. So that one definition of content marketing solving the same problem that your product solves I think can go a long way in helping someone who is a consultant be a very good one. Dan Levy: Right. And of course your products could change; your company could pivot, if you start with that mission or that problem. Then it’s easy to adapt your content and to pivot in the right direction. Jay Acunzo: Totally. It also helps a lot of start-ups start blogging and creating content now to get results in the near term or maybe a few months down the road before they have a product, or before their product has product market fit. Because they know the problem they wanna solve. They know the advice they’d like to give to the world, or the things they’d like to say, or the answers that they might have. They don’t have the product built yet, or if they do, they’re still figuring out how to sell it to a lot of people. But they can start with the content piece very easily, and build an audience that they can test against and convert later. So it’s a really nice way to frame your content marketing, because I think it actually lends itself to getting early results as a start-up. And if you’re a larger company and you haven’t been thinking this way, try giving away a little piece of that product that you have, like a template for example. Because you’ll start to see people downloading it in droves, and then every sell that you make to people who have downloaded that thing is like an up-sale. You’re already doing this thing, or you’re already trying to solve this problem. Well, oh by the way, we happen to have a product that’s way better at doing that. And that’s a much easier sell than ripping the cord and running over from what you’re using today as a customer to use my product. Dan Levy: Um-hum. Yeah, here at Unbounce we launched our blog I think something like nine months before our product was even ready. So we can definitely relate to that. Jay Acunzo: Yeah, that’s awesome. Dan Levy: Okay, so I know you’ve done a lot of thinking around the organization and structure of content teams, which is something that we’ve been thinking a lot about here as well. And at risk of going down a rabbit hole, let me ask you this: Do you think content should be treated as a distinct channel within an organization, with its own producers and creatives and strategists who operate independently within a team or within an agency? Or is content more of a discipline whose tentacles should be spread throughout the organization? Dan Levy: It’s also a huge question, I realize. Jay Acunzo: It’s a huge question, for sure, but it’s also hugely important. I honestly think there are many ways to handle this, and it depends on the company’s stage and culture and the specifics of that company. So also if you wind up with one right structure that every company tries to apply, and one general direction, I think we’re all screwed. Dan Levy: And sandwiched in there, I had teams and agencies, and obviously those are totally different set-ups. Jay Acunzo: Totally, yeah. So what you can do, actually, is talk about the pros and cons of each structure, and then make an informed decision. So, for instance, I gave a talk a few weeks ago to a large enterprise marketing team. And they dedicated meaningful time — this is an off-site to talk about big-picture things and what’s ailing them — and they dedicated meaningful time to talk about what tools that different areas of the department was buying and how they didn’t know what was going on, or how they could better interact with their in-house creative agency, which was centralized to do all the content. So I think the pros of centralizing is you get this domain expertise group together, but then there are silos and frictions that emerge between departments or sub-teams. Then on the other end the pros of spreading throughout the organization is that you create this great content culture, you might get a swifter response to produce the content based on the goals you have team to team, you’re more integrated between teammates, and you can tailor that content accordingly. But you might have a Frankenstein monster of a brand if nobody’s looking out for the consistency of quality and feel and all that. Documentation could help, but I just don’t know anybody that truly pays attention to internal documentation, right? So the solution might be somewhere in the middle. And I’m painting with massively broad strokes here. Again, I don’t think one prescribed structure is the answer. But something I saw work really well at Google on the sales team that I think could work with content teams was to have we called them product specialists at Google. — you could call them content specialists at your organization — where basically we had these large verticalized sales teams that were either generalists or owned a certain type of client, and we had a lot of products to sell: YouTube, mobile, search, display, the list went on. And we had a few people that volunteered to go really deep on our teams in those products, and then they had a dotted line reporting back to a centralized product team, which would provide best practices, communication, suggested approaches, case studies, tools, mentorship, all that. In content, it might be, for example, a centralized editorial board or creative unit. And then you have these individuals dispersed throughout the company to do the frontline work, and have the nuance of each individual team or case kind of grocked. So maybe something like that would actually work really well. Dan Levy: Cool, yeah. There’s so many ways that you could approach it, but I think the key, like you said, is not to just read a case study and then try to apply that to your own organization and assume that it’s gonna work. Jay Acunzo: Right, right. I think the major takeaway from all that is somebody has to do something centralized. It can’t just be all distributed. I think there has to be some kind of consistency, which is hard. But whether that’s a whole team doing all the content in one place and kind of being treated like an internal service bureau, or it’s just an editorial review board, or something like that, I think that’s gonna vary case by case. Dan Levy: Yeah, and something that we’ve been looking at internally, which is based on what our developers actually I do, which I believe is based on the Agile framework, is to split the team into squads and chapters. So the squads would be organized around, let’s say, the customer life cycle, and it would go through marketing to sales to all the way to the customer’s success, but they would be self-contained, so they would include, let’s say, a strategist and a producer and a creative, and then maybe like a communications person. And they would all work together, maybe sit together, but all those creatives and all those producers and all those strategists would also be part of their own chapters. So you could think of those as the disciplines, the editorial discipline, the creative discipline. And so you would have people overseeing those chapters through all the squads to make sure that the editorial voice is consistent, that creatively your brand is consistent. I thought that was kind of an interesting way to approach it. Jay Acunzo: Yeah, I mean that’s awesome. That’s definitely — it kind of speaks to the same thing of you’re moving between both ideas of people who are very, very specialized or even centralized, and people that have to understand there’s nuance across lots of individuals’ work, and lots of goals and ways you’re measured, and you kinda have to account for both things. Dan Levy: Yeah, plus these are disciplines. In terms of professional development, you wanna develop your creative skills. You wanna develop your editorial skills. And I think it’s important to have mentors and people whose job it is to oversee both the consistency from a brand perspective, but also to help develop those skills on an individual level. Jay Acunzo: Yeah, you bring up a really good point. We talk a lot about organization of teams in content, but we very rarely think about well what is the individual gonna find most fulfilling and rewarding to create a vibrant and fulfilling career for themselves, right? Nobody in a creative field — and I’d argue that content marketing as a large creative component to it — nobody wants to be a short-order cook. And so I feel like if you put those content producers that you have or editors or writers, either outsourced to an agency or internally, if they’re centralized and they’re just taking, almost on a ticket system, they’re just reacting to the demands of your organization, that’s really unfulfilling, right? And so you have to do really, really strong communication. You have to make sure you’re meeting face to face, do all these things to smooth over on the communication side, things that you wouldn’t face if you were integrated across the company. So you just gotta be cognizant. I think we have to stop talking about people like their little dots on an org chart when it comes to content marketing teams, and start figuring out how do we get the best possible results from our people, which is what a business wants. It’s also what the individual wants, right? And so talk to the people on your team. Figure out what’s gonna motivate them the most. Figure out what they wanna do in their careers. Maybe they don’t wanna be CMO. Maybe they do wanna be a creative agency. And then act accordingly. Dan Levy: Yeah. Well I wanna get into a little bit more of that personal, professional development stuff later on. But first, switching gears a little bit, you had something kind of weird and cool happen to you a little while ago that you wrote about on your blog. I think you described it as both encouraging and discouraging. I think you know what I’m getting at here. Jay Acunzo: Yeah, yeah. The worst — so I’ve been writing on the internet for years — the worst thing and the most pointless thing that I’ve ever written just became this viral post on Medium. Jay Acunzo: And you have people in the tech world, on the investment side, like Chris Sacca, who was recently on Shark Tank, early investor in Twitter and Uber and all these big guys, David Cancel here in Boston, former Chief Product Officer of Hubspot, now he’s founder of Drift and he’s a serial entrepreneur, Heaton Shaw, who everybody knows in the SaaS world, all these people were recommending this post. And I was like, “What is going on?” It was sitting on the top of the homepage of Medium for a week. Dan Levy: It’s always the posts that you slave over, right, that go nowhere, and the ones that you think are toss-offs that all the sudden rack up the shares. It’s so heartbreaking. Jay Acunzo: Well, what was heartbreaking about this — I can read you the whole post and take only a few seconds of your listeners’ time right now — the title was “The One Secret Thing All Successful People Do.” When you click the headline, the article was this. Number one: they don’t look for secrets to success in freaking blog posts. That was it. That was the whole post. That was the whole post. It was one sentence. It was like 5:30 on a Friday. I thought that would be a funny joke. I had just gotten my fill of links in my feed about promising all these secrets to success that are always full of crap, and I was just amazed that there’s this shortcut culture, and disheartened by it. But there was this encouraging and discouraging piece to it. So it was encouraging that lots of people read something I wrote on the internet. That was nice. But it was one sentence long, literally one sentence long. The encouraging part, again — this is me debating in my own head and having this existential crisis as a writer — I was sort of like well maybe a good writer can even convey meaning in one sentence, and it doesn’t matter that all my longer form things didn’t go viral. Dan Levy: Well, hey, you identified a problem. People are — a need — people looking for that one solution, that magic bullet. And then you broke their hearts. Jay Acunzo: Well I was kind of like trying to hold up a mirror to the internet, in some way. And what was actually encouraging — and this is where I ended my reflection post that you’re talking about where I just had to make sense of this in another article — the last thing I landed on was it was encouraging because a ton of people got the joke and shared it and laughed at it, and it was awesome. There were some people that totally got upset. They wanted the secret, and they were mad that it was a joke. And the analogy I use is if you’re a Family Guy fan, Lois says to Peter in one episode, “Well, Peter, I bet you learned a valuable lesson today.” And Peter just goes, “Nope!” And it’s like, it was the same thing. It was like, “Well, internet, I bet you learned a valuable lesson today about seeking shortcuts.” And the people that were angry, all they were saying back to me was like, “Nope!” So it was quite the experience. Dan Levy: Yeah, I think trying to teach the internet a lesson is like a path to ruin. Jay Acunzo: Yes, says someone who would know. I feel like you honor the right path of creating great work whether you’re from Sparksheet to Unbounce. You clearly care about your craft of writing, so I think you understand the agony and the dichotomy that I had in my own brain of this is positive but it’s also negative. Dan Levy: Yeah. No. 100 percent. That really resonated with me. You wrote another short post on your blog recently, though not quite as short as that, where you asked marketers whether they’re creating content for the delivery or for the response. What did you mean by that? Jay Acunzo: Yeah. So to me this is the idea between reaching someone and resonating with someone. And the analogy I use — actually a story that really happened — a buddy of mine who works for Hubspot, his name’s Eric Devaney, he’s one of the greatest content minds that I know. I’ve hired him twice. I would hire him a million more times. The guy’s great. He was getting married a few months ago, and I was catching up with him and his now wife. And they were talking to me about their process of writing their vows. And Juliette, his wife is a product manager, and Eric is a writer and a creator, like in the truest sense. And he was making fun of how she kind of used her approach to product, very logical, very systematic, to write the vows. As soon as they decided they were gonna write their own vows, she wrote on a bulleted list. And Eric was kind of making fun of her for that. He was like, “I love you Er-ic.” is how he framed it to me. But Juliette started with: I have to write vows. How does one write vows in a vacuum?Whereas Eric was starting with: I have to write vows, but what are vows for?What do I want out of this reading?I wanna trigger the best possible emotion from Juliette, from those listening, and how do I do that? And I think in marketing, we talk a lot about tools and workflow and tips for publishing something faster, more efficiently, getting to the end basically to ship it out the door better, faster, quicker, whatever, more. And we should totally talk about that stuff, but also we have to consider why are we doing this in the first place? It’s not actually to publish something. That is not the reason we do this. It is to get some kind of intellectual or emotional response from people to have them click, spend time with us, share it, act in some kinda way that benefits our business. And I think too many of us think about just simply delivering the thing into the world, and then we stop. We seek things like ideal word counts for blog posts, shortcuts and ideas that we can put on repeat over and over again, and we kind of corporatize and optimize, because we’re just so damn busy trying to reach people that we sorta forget that this is actually about resonance. Dan Levy: Well another aphorism of yours, and I feel like you’re a content marketing Buddha or something, and I mean that in the best way possible. Jay Acunzo: I’m an English major, and if I don’t speak in a certain number of isms per week, I don’t get an ROI on my English degree. I think that’s really it. Dan Levy: Okay, yeah. That make sense. So you say that when you stumble upon something that works, you shouldn’t do more of it. You should do more with it. Can you untangle that one for us? Jay Acunzo: I feel like when something works, when your audience tells you, even if it’s a small qualitative response that you get, when your audience tells you that they like something, you should lean into that harder. Don’t drop it and say, “Good job us,” and then go run away and go do something else. And this happens across the board in marketing, whether you do an ebook and you assume, okay, that one ebook worked. Let’s do more ebooks, rather than try to get mileage out of the one ebook. Or, you’re just spread across too many channels. And when one starts to work, it’s a relief, because now you can focus on the ones that are not working, when I think you should pursue these moments of success, and then just drive into it as hard as you can. So one example is I published a slideshare on the NextView Venture’s account that did a roundup of podcasts, because I wanted to promote our own podcast that we were launching. And it didn’t do that well. So I immediately dropped it. I didn’t try to put it on other channels. I didn’t try to do a blog post out of it. Then I published a board deck template on slideshare, something you would download and use practically as an entrepreneur, and it killed it. It did a lot of really good things for our audience. But initially it was just lots of people saying lots of nice things. And I thought, okay, what else can I do with this thing? Should I take excerpts out of it for the blog? Should I re-promote it through different social channels? Should I talk to the partners here at NextView about — they sit in board meetings every week. What would they rethink if they were starting from scratch about how board meetings with start-ups are run? What else can I do with the stuff inside the container that our audience is clearly telling us they love? And so that’s kinda what I mean. When something works, don’t do more like it. Don’t do another slideshare. Do more with it. Do more with the thing that’s working — the topic, the stuff, the material. And by the way, this is how you get really efficient with your publishing, because if you see any of the great thought leaders in our industry, and you see some thoughts that they publish across channels, right? Because they identify something that resonates with their audience, and then they repackage it, and repurpose it, and put it in different places in a way that’s native to each channel. But they get mileage out of what works. Dan Levy: Yeah, I could totally relate to that, and I think one of the reasons, at least, that so many of us are guilty of spending so much time on the content creation and not enough on the promotion and the leveraging of that content is that we — time’s a limited resource. Any suggestions and — I don’t wanna go into quick and easy tip territory here — but what can we do to finally prioritize that component of content marketing? Is it about scaling back on the other stuff, scaling back on the content creation? Jay Acunzo: So I appreciate that you’re saying that you don’t wanna get into kind of tips and tricks and hacks territory. Because I think if — I mean, to be completely blunt — if anyone tells you, “Oh, don’t worry. This content marketing stuff can be simple,” they’re lying to you. It’s hard. It’s super rewarding. It can be really fun. But it’s really difficult. And that’s really how to think of it. So the more we do shortcuts for content marketing, the worse our results get. I’d rather, if someone is really pressed for time, think about other ways to do marketing, because the people that are gonna win, especially as our industry gets more mature, are the ones that actually honor the craft of what we’re doing. They have to produce content that matters. All this shortcut stuff makes my BS detector go crazy. All that said, I don’t wanna leave everybody high and dry. The best thing I can say is to find a weekly process and cadence, and stick to it like it’s gospel. I love this quote from John Cleese from Monty Python fame, who says that creativity’s not a talent, it’s a way of operating. The other thing, too, is I feel like there’s a need for clear direction. That helps your process, right? If you’re — this is a leadership thing — if you have guardrails and goalposts and you know why you exist and you know how you’re being measured, that really does help you do a lot of a lot. That’s kind of how I’ve approached this world of content. And you shouldn’t look for the shortcut, I guess is what I’m trying to say. I feel like we have to start saying this. Stop looking for shortcuts. Dan Levy: No, no, I hear you. And to go back to what you were saying about that you have two options, to nurture a content marketing strategy or to look to paid marketing and PPC and things like that. I have to say where we’re at right now is a bit of a privileged position in that we’ve put the time and we started off with a content strategy because it wasn’t easy, but it was relatively cheap to get started on, and to start nurturing that market with. And now we have these internal experts — PPC experts, CROs, SEOs, to help us layer in that testing, that experimentation to optimize what we’re doing. So that mix between the craft and then the performance side of things, and the optimization side of things is, once you get your team to that level, then the opportunities there are huge. Jay Acunzo: Totally, and I think you understand this moment of like — because you love to write — where you wanna improve something. It doesn’t sit right with you when you’re reading it. And you’re like, “I gotta go home,” or “I gotta ship it soon.” But you wanna spend that extra hour agonizing over it. And it’s really for yourself that you’re doing it, to feel pride in your work as a writer. I feel like that mentality would fit well across any marketing function, where you just have to have this insane pride in what you do. And when I hear people talk about finding an ideal word count, I just think of people putting their brains on auto pilot. I think our industry’s too saturated. There’s too much content out there for any of that to even be effective. So it’s also a bad use of your time. It’s a bad use of your company’s time to think that way. And that’s what causes all the shortcut culture out there that causes me to write a one-sentence post and have this existential crisis. But that’s a problem for another podcast. Dan Levy: Yeah. And not to minimize the craft — content marketing is a craft, and I think it’s very clear that you and I are really passionate about that, but so is conversion rate optimization, right? So is PPC done right. So I think it’s about hiring people and surrounding yourself with people that are as passionate and methodical about the way they do that stuff as you are with content, rather than trying to, again, look for a quick and easy tips and hacks to layer on top of what you’re doing. Jay Acunzo: Right. And let’s take craft out of the world of frolicking in the field creativity, and put it into a business setting too. I think people that are craft-driven, they think a lot about the process. And so, part of thinking about the process is finding pockets of being efficient. Part of it is thinking about things you can outright steal that inspire you from other industries outside the echo chamber. Part of it is understanding pockets of time you’re not using well. So people that are craft-driven are not like the artists that are painting one thing every year, or the marketer that gives a great keynote but can’t go execute. I think it’s about figuring out: I need an end result, but rather than just trying to skip all the way to the end result, let me figure out this process. I’m gonna write a blog, and I need to figure out a way to do more blog posts without skimping on quality. So if I can dive into the paragraphs, how do you write a great intro, how do you write a great hook, how do you do different things for SEO quickly and easily? If you study the process itself, the end result goes us and the process gets easier over time. I call this creating ugly. You wanna do little things to poke down an avenue and put something quality out in the world. But it’s not a pretty process. You’re not searching for the best practice. You’re just launching, learning, operating a little bit like a start-up internally. I’m gonna learn, I’m gonna grow, I’m gonna improve. Oh, we were running right? Let’s run left a little bit more. And eventually you find this repeatable path for quality. 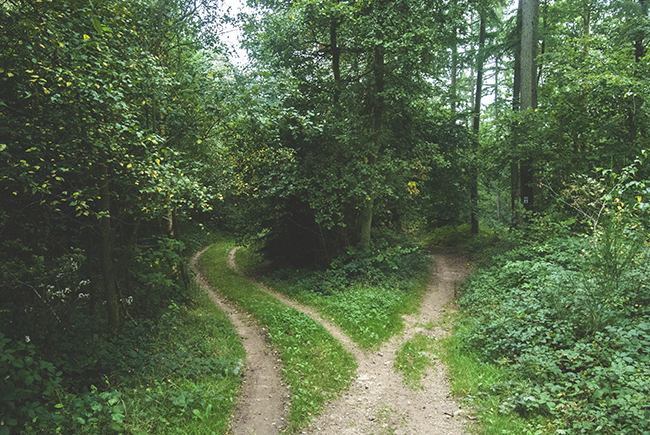 You wanna find the easiest repeatable path to quality. Dan Levy: So where content marketing, I think, differs from traditional publishing is that it does, ultimately, exist to serve measurable business objectives. I think we could both agree with that. But in your latest blog post, you argue that it’s time for companies to lend more credibility to things like creativity and craft and editorial excellence in content marketing. Obviously you’re preaching to the choir here, but how do you make the case for why that’s not just a vanity thing, why that’s not just a squishy thing, but actually crucial to the success of content as marketing? Jay Acunzo: So in terms of quality, when I started doing content marketing, it wasn’t called content marketing. I was Director of Content at a start-up, and we never tacked on the word marketing to it, but it was clearly that. I heard all kinds of stuff flying around me in the industry, doing my research as to how to do my job, and I heard things like, “What is the ideal word count of a blog post?” I heard chatter around buying tools to make your publishing easier, questions around curation and hacks and shortcuts and SEO tricks versus original content. And I was just new to it, having left Google and left sales, and I thought well, I don’t know about all that, but I’m just gonna try to write really well and do right by my audience, and hopefully doing that will help me avoid needing to panic about all that other noise. And I think it’s served me decently well so far. Part of me wonders what kind of business or leader is actively avoiding things like quality? Like who really wants to be living that life or working for that company? Dan Levy: Well that’s it. Jay Acunzo: And I know it’s much more nuanced than that, by the way. But the fact that we have this debate of quality versus quantity is really disheartening, because they aren’t actually opposites, right? A journalist has to do both. So I think it’s all about taking a long-term view. If you’re better at the craft, if you’re better at the process, if you’re better at creating, if you’re better at getting more stuff or more effective stuff out the door, and more importantly, more memorable stuff, things that people actually like it sticks in their brain and causes an action. That will by definition get you better results. And I said long-term view. It’s not even long-term view. It’s just order of operations. Create the content, distribute it, measure the results, etc. So I think we just need to give more credence to the creation part as part of our overall process today. But for a sea change to happen, I look at the individual content marketer. So it’s so interesting to see businesses take the mentalities of scale and programmatic, and apply those to content marketing, because this is a profoundly human endeavor. Imagine if the staff of Grantland, RIP, was now suddenly working at a content marketing organization or a marketing team. They would crush everyone else out there because of the people, because they’re such great writers, because they think about the craft and they’re able to do things with ease that we think are totally unthinkable, like quality and quantity together. Dan Levy: But would they ever wanna be part of a content marketing team? Jay Acunzo: That’s the problem, is like brands lack this historical credibility, this historical care for editorial that lends itself to that credibility needed to attract a team like at Grantland. But I do know that thousands are kind of like me, and you’ve kind of heard my tilt in the interview here. I want a meaningful career creating quality work, and I know there are thousands and thousands more like me in the industry, and I think they’ll flock to organizations that allow for that. In this style of marketing, the talent matters. It’s very human. It’s not programmatic. You can do some things on the periphery to make it efficient and programmatic, and you can disagree with me, and you can chest-beat, and you can growth hack all you want. But all I know is I know tons and tons of marketers that showed up to this industry because they wanna create things that people really like and react to, and they wanna focus on resonance, not just empty reach. And for me, if marketing switched to becoming purely ad buys again, which I don’t think it ever will, but if it did, I would go work in another industry. I’m here to write cool stuff. That’s what I like. Dan Levy: Yeah, I think you get at it right there. It’s actually not a luxury, it’s an existential issue for companies, for agencies that if they wanna attract the best, whether it’s the best content marketers or the best conversation rate optimizers, of the best strategists, then they need to put that emphasis in their culture on quality, or else nobody’s gonna wanna work there. Jay Acunzo: Absolutely. And I think there’s this dialogue that we’ve been having for a while that we’re all in this arms race for attention. I think it’s actually the byproduct of what we’re actually in the arms race for, which is the best talent. I think we’re now all in the business of trying to act like a publisher not in a figurative sense, but in a literal sense. How do we create an environment that cultivates and also attracts truly prolific individuals? People that, again, who we all assume in marketing is unthinkable. They’re multimedia creators. They black out and have all these great ideas while we’re all agonizing and slogging through this idea of quality versus quantity. They don’t need the tools that we need to be efficient, to be quality, to understand an audience, and do something that resonates with them. Those people do exist and we either need to attract them from outside of our industry or groom them from within. But I think either way you look at it, it’s all about people. And if I look back, personally, and say I had a fulfilling career someday, I think it’s gonna be because I’m trying to be loud about that right now. I’m trying to support people and celebrate people who get results not by taking shortcuts and churning out more crap into the world, by bolting on technology to a human process. I’m trying to help and defend and support and learn from people that get real business results by being brilliant at delivering what audiences actually love, the people that agonize over their craft, the people that are creative. And if you spend that extra moment down that mental rabbit hole on a piece before publishing it, you’re so caught up with making it great when no one around you knows why the hell you’re doing that and not just shipping it, man, you’re gonna be the most important part of our industry the next few years. If you have that mentality, if you’re that type of person, we need you so bad. Dan Levy: This is awesome, thank you. It’s so good to talk shop with you about this stuff, so thanks so much for taking the time to chat. Jay Acunzo: Yeah. My pleasure.